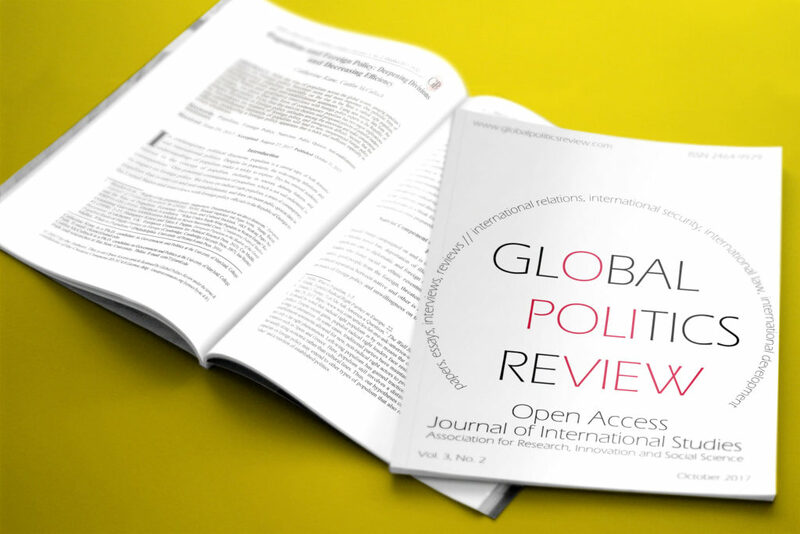 Global Politics Review (GPR) is a peer-reviewed Open Access journal of International Studies published by the Association for Research, Innovation and Social Science (ARISS). The Journal, founded in 2015, is published twice a year in October and April. GPR features high-quality research papers, interviews, and essays that survey new contributions to the fields of international relations, international security, and international development. GPR aspires to achieve a two-pronged goal: to provide the opportunity for distinguished scholars and graduate students to publish unconventional and innovative research, and to be a vehicle for introducing new ideas while encouraging debate among the academic community. GPR aims to make a distinctive contribution to the field of international studies and serve the academic community as a whole. ISSN: 2464-9929.